Don’t have good site for solar at your home? 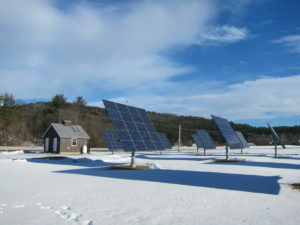 Many Vermont homes are not ideal for a residential solar array. The reasons for not having a good solar site are that old roofs cannot sometimes support the weight of a solar installation and it is too expensive to replace the roof, or because the property does not have good southern facing exposure to the sun. Fortunately, there are openings in Community Solar Arrays (CSAs) around the state to meet the needs of those without ideal sites. If you don’t think you have a good site for solar but still want your electrical needs to come from solar then you might consider contacting one of the CSA installers below. Community Solarize 2016 financial incentives! 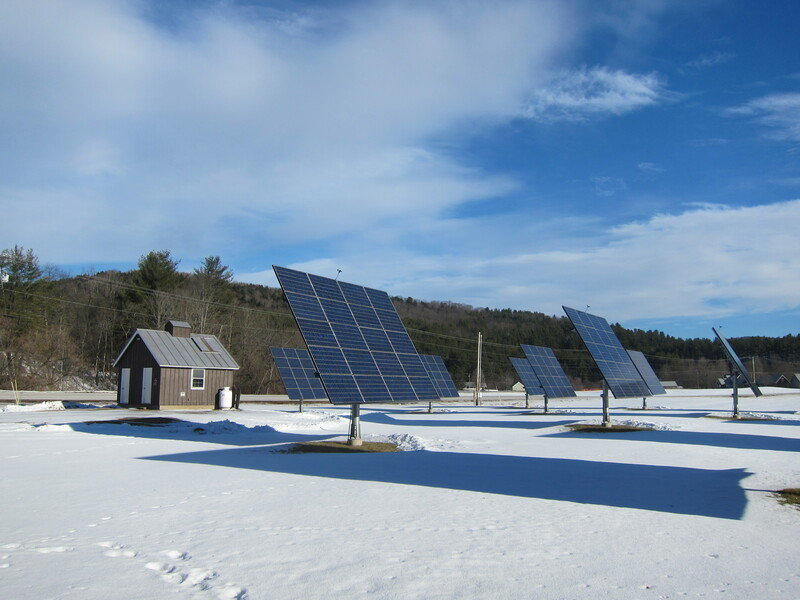 Solaflect Energy, solar installer of Norwich Vermont, is offering a tiered pricing with discounts for a much as $1,000 off the cost of a solar tracker at one of their community solar arrays. For each 8 solar park trackers sold to residents of Barnard, Bridgewater, Hartland, Pomfret, Reading, and Woodstock before June 30th 2016 each tracker will be discounted by $200 (5 cents/watt), up to a maximum discount of $1,000 per. This is open to residential or commercial customers. Solaflect is committed to creating real solar electricity for Vermonters and so does not finance their arrays by selling the Renewable Energy Credits out of the state. They offer Patented Suspension Heliostat and Suspension PV Tracker which eliminates unnecessary steel. Because Solaflect uses less steel than alternative designs, their arrays extremely cost effective. Utilizing patented Suspension technology, Solaflect brings excellent performance characteristics into the market. At the end of 2015 Vermont reached its Net Metering cap. Net Metering allows for solar owners to get a credit for their unused solar from the utility company which can be used later in the year when there is less sunlight. There was a limit on the amount of net metering that was allowed in Vermont and we reached this limit at the end of last year. 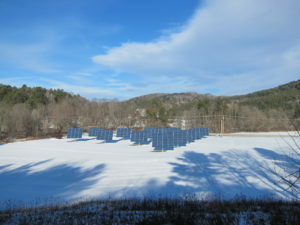 Fortunately Green Mountain Power is extending Net Metering options during this year for residential arrays under 15kW. This does however mean that any proposed solar projects larger than 15kW will not be permitted, this means no more new Community Solar Arrays this year! The list of installers below all had their permits for the CSAs approved before the net metering cap was met. This means they are currently the only available options for buying into a community solar array this year or until the Public Service Board determines regulations for net metering in Vermont. With every new solar array installed it comes along with a Renewable Energy Credit (RECs). 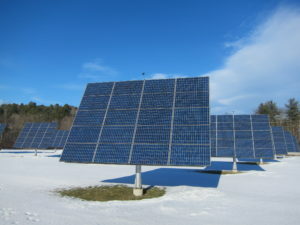 The REC is the “green attribute” of the array. Whoever holds the REC for the array holds onto the credit for the renewable energy. This credit can only be counted once by the person or company that holds the REC. In other words when you sell the REC of your array you are selling the renewable energy to another entity and cannot say that you are personal still getting solar energy from your array. Some companies choose to finance their CSAs by selling the RECs to the market which are then bought up by industries who have an interest in reducing their carbon footprint on paper without installing new renewable energy. Companies that sell their RECs do not sell solar. When an individual invests in a CSA financed by selling RECS then they are not buying solar energy they are making it possible to create more solar in the state. Other companies choose to finance their arrays solely from people who invest in their own panels and these are true community solar arrays. These companies have committed to not selling the RECs because they want to sell real solar energy to Vermonters and because they want to keep solar energy generated in Vermont inside Vermont.